As most of you will know 3 months ago me and my car had a bit of a bump while travelling up to the Culzean Autoclassica event in Scotland, well it was a bit more than just a bump. So much so that the car and I had to be transported back to Northampton on the back of a recovery truck. Two weeks later I bought the car back from the insurance and took it to Brockhall Coach Works and asked them for a quoit to repair the car with me getting all the parts, I excepted the quoit and I delivered the car to them three week after that for the rebuild to start, two days later they told me what parts I was going to need to do the rebuild. Then it was onto the Internet to find all the panels, after a good look around I found that Rimmer Bros were the best place to supply all the bits I needed. I ordered the panels (listed below) and got them delivered direct to Brockhalls and the rebuild began. Now four weeks later, the car is back to as it was before the bump and ready for the road again. All that I need to do now is get it reregistered by the DVLA, this means a VIC check to get a new V5 and then a MOT and TF03MGO will be all better and legal and back on the road for me to enjoy once again. 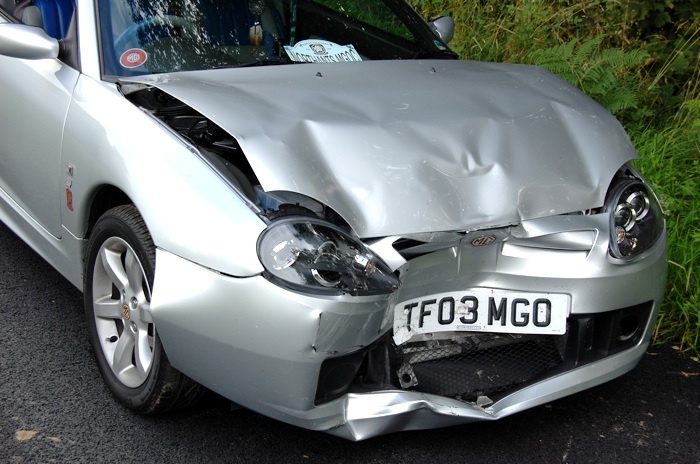 If you ever find your self in a similar situation (I hope not but if you do) I can recommend Brockhalls of Northampton for the repair and Rimmer Bros to supply all the bits and the panels, as you will see from the list of parts and the cost below it is well worth looking into this option if your car is ever made a write-off by your insurance company. All but the Bumper are new Rover/MG Panels. Total bill for the rebuild was just under £2,000 -- less than half the insurance estimate. 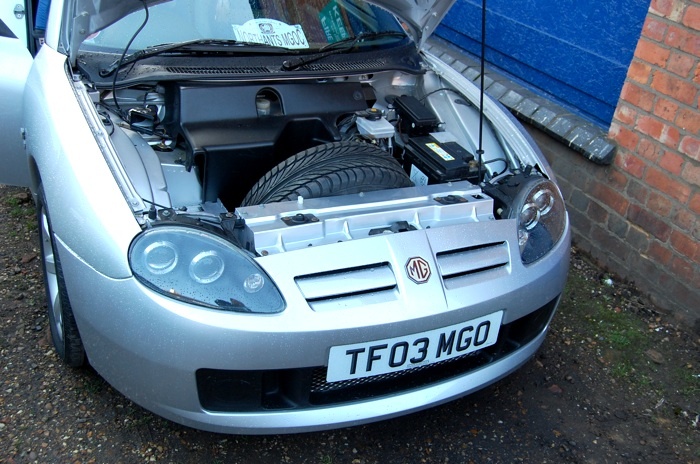 Comments on "MG TF 135 Front End Repair"